Flavour: Nutty, dark sugar, cinnamon. This Rainforest Alliance coffee is grown on the Atlantic side of the state of Chiapas in the regions of Jaltenango/Villa Corza, Mexico. A natural forest canopy shades the plantation, which holds an abundance of local plant species and fertile breeding grounds for birds and small mammals. A classic Mexican bean, washed and sundried. 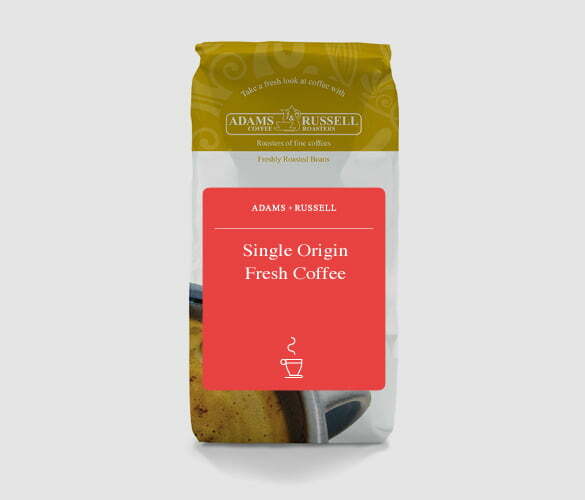 With a nutty, clean tasting finish, Mexican Rainforest Alliance Finca San Ramon is a well balanced single origin which combines beautifully with milk to produce great lattes and cappuccinos. When extracted through an Espresso coffee machine, enjoy black with a sweet moment of molasses and cinnamon showing through. Don Quijote tells us that over the last century coffee has become one of Mexico’s most valued exports. It arrived in Mexico in the late 18th century, when it was brought over from Cuba and the Dominican Republic. It was not cultivated until the late 18th century because a lot of the land was dedicated to mineral extraction for the production of gold and silver. Once land was devoted to coffee production, the industry flourished and resulted in ‘the coffee boom’ in the 1950s, where it was being traded at prices never seen before. The National Coffee Institute of Mexico (INMECAFE) was then created in the 20th century, guaranteeing stability in production quotas, price inflation and offering technical expertise. In 1989 the industry began to decline. With the disappearance of the INMECAFE, insufficient policies and the artificially controlled price and production, the industry was in serious trouble. Production declined by almost 7% with farmers earning 65% less than they did before. Since 2006, Mexico is slowly building its production back up. It is now more focused on quality rather than quantity, with coffee connoisseurs willing to pay more for the high-quality beans. Dip the rim of your glasses into the brewed coffee then into the sugar to coat the rim. Add half of the tequila and liqueur to one glass and the other half to the other glass. Dust the mixture with a pinch of cinnamon, add the coffee and finish with a scoop of ice cream. Caramel and sweet with a smooth medium strength finish. Just the right amount of “bite” – just short of bitter. I like this coffee very much as an esspresso, with hot milk or in a three-shot cuppucino.